When writing is so difficult for your child that he does poorly in most of his classes, a school psychologist or his teacher may determine that he has dysgraphia. Despite this learning disability, with the right dysgraphia treatment and accommodations, your child can excel, even succeed, in school. You and his teacher will want to consider some of the following strategies for your child so she can start improving in school. 1. Using a Computer. Children with dysgraphia should be encouraged to learn keyboarding and word processing on a computer. In addition to the physical relief from handwriting, word processing programs provide other conveniences such as spelling and grammar functions, which free them from some of the mechanical aspects of writing. This “dysgraphia treatment” works particularly well with older children. If you don’t have a computer at home for homework and projects, ask if your child’s school has loaner laptop computers. 2. Writing Assistant or Scribe: Arrangements need to be made so that when required to do a lengthy writing assignment, the child can dictate what she wants to write to an adult. The adult then writes or types the words of your child. You can also ask the school to provide a scribe for test situations that require essay answers. 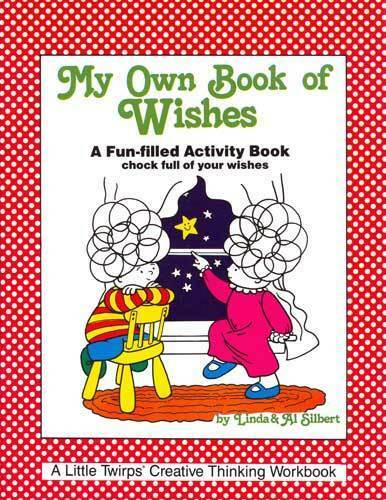 This helps your child get her thoughts on paper without having to struggle with the mechanics of writing. 3. Spacing: When your child writes something freehand, help him to space his words properly by placing his finger between words and using the tip of his thumb to the knuckle for paragraph indenting. Lined paper with spaces between the lines also helps. You’ll find this specialty paper at stores that carry school supplies, and at teacher stores. 4. Lining Up Numbers: Children with dysgraphia have a tough time keeping columns of numbers lined up when doing “pencil and paper” arithmetic. Try lined paper turned sideways. The vertical spaces between the lines provide column guides that can help keep everything lined up. 5. Extra Time and Reduction of Written Work: You can request extra time and a reduction of written work for your child. This may include suspending the requirement of rephrasing questions and using complete sentences when answering homework questions. For example, if the homework question is: “What was the reaction of the British when the colonists presented the Declaration of Independence?” your child can simply write “The British declared war on the colonists.” He doesn’t have to rewrite the question as part of the answer. 6. Isolation of Spelling in Grading: Since spelling is often an issue for children with dysgraphia, spelling may not be counted as part of the evaluation of routine assignments, except, obviously for spelling tests. If spelling needs to be graded, it should be graded separately. Now your child’s writing style and ideas are not downgraded because of spelling errors. 7. Photocopies of Notes: Arrange for photocopying of class notes and the next day’s homework assignments. These can be from teacher’s notes or from those of a willing student who takes good notes. In classrooms with interactive whiteboard technology, the teacher’s notes may be available on-line. Just two or three of these tips should help your child succeed in school with a lot less stress. Does your child struggle with writing. Let us know about it. We appreciate your comments. My son is in 7th grade. He was diagnosed with dysgraphia in 5th grade, however, because he was scoring proficient and Advanced on state testing, they said it di not significantly affect his life skills or something like that. Last year, his scores dropped significantly. I’m trying to get a 504 plan, but it is going to be hard. Do you have any offices in the Southern California area? He is always saying he’d make a better grade if he didn’t even go to class. Because of bad teachers, he has gotten a bad attitude about school, and doesn’t care. I would appreciate any recommendations. Parent can request a full SPED evaluation and your son should qualify for OHI (other health impaired). 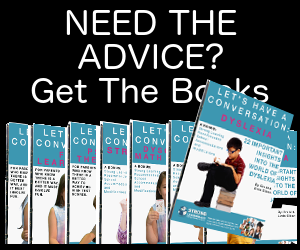 My son, a 7th grader, has dysgraphia and is diagnosed with generalized anxiety disorder. Jacob was on a 504 for three years and we still had a lot of problems. Once he qualified for the IEP things did get better. We still have some struggles, but teachers and administration take an IEP more seriously than a 504.Parents can request a full SPED evaluation. With the IEP you will also have support from SPED. Jacob has been in inclusion classes this year, but I am requesting that he is not in the inclusion classes because he felt singled out to much. I don’t understand why Dysgraphia isn’t listed in with other communication disabilities such as blind, deaf, written communication is universal and anyone who has dysgraphia severely is just as disabled. Please explain why its not. Thank you! It needs to be changed. Being blind or deaf are physical disabilities. 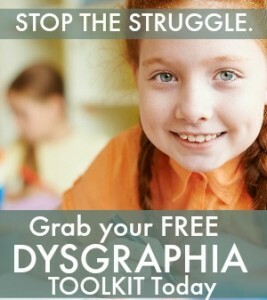 Dysgraphia and other learning disorders are neurological disabilities. My son has not officially been diagnosed with dysgraphia, but from everything I have read, I think this is it! I took him for an evaluation and the Psychologist gave him a diagnosis of ADD. I think that a diagnosis of ADD could be true. Nonetheless, I think that the main issue is dysgraphia. Where can I take him in Connecticut to be officially diagnosed and also get him help? I have SO been there. My eldest dehugtar, now 17, was diagnosed with dysgraphia in 4th grade. She struggled for SOOO long before she got help. My youngest dehugtar, 8, presents with full blown Dyslexia. We went through the special ed process this year and she scored too high to receive services even though most of her writing is illegible to everyone including her. We are now pursing a private diagnosis so she can get help through a 504. Good luck with your journey it can be SO frustrating!